Add storage while leaving your bed open for hauling cargo. 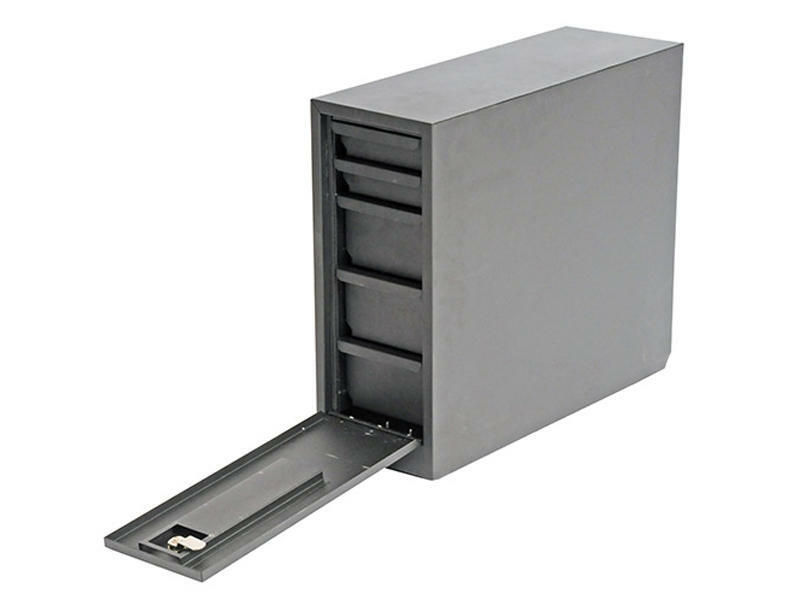 Constructed from heavy-duty 18 gauge steel and fits 6 or 8 foot beds. 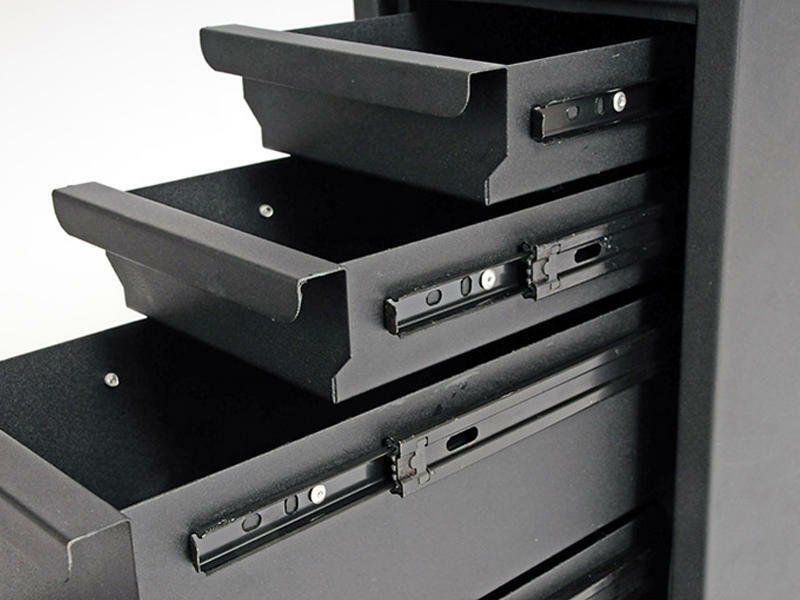 A lockable single drop down door that reveals five black coated sliding drawers. Equipped with a quick release mount system to remove from mounted base, hardware is included. 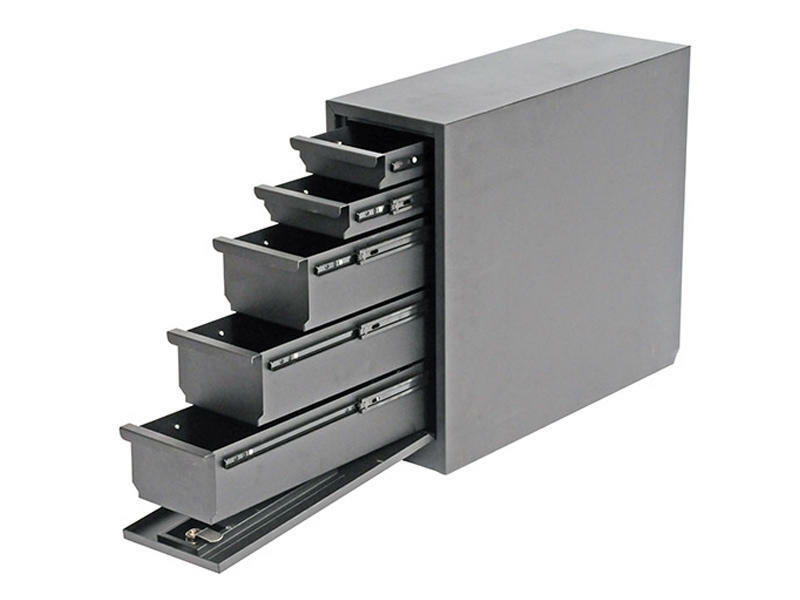 Drawer dimensions- Top two drawers- L: 18-1/4" x W: 5-1/2" x H: 1-3/4"
Drawer dimensions- Bottom three drawers- L: 18-1/4" x W: 5-1/2" x H: 3-3/4"